Concerns over global warming and the spike in oil prices have renewed worldwide interest in nuclear energy, and with it renewed concerns over nuclear safety. As a growing commercial industry, nuclear power had been moribund in the United States since the 1970s. Yet 15 percent of the world's electricity comes from nuclear power. 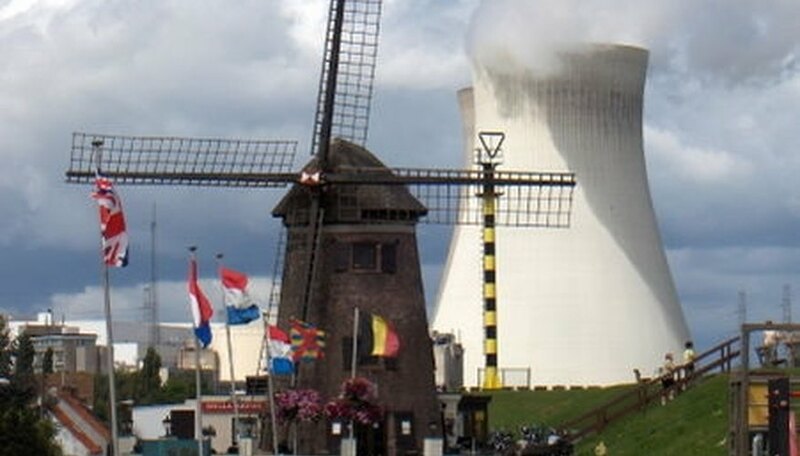 Nuclear energy brings a combination of strengths and weaknesses. Nuclear power is generated inside a plant called a reactor. The power source is the heat produced by a controlled nuclear fission chain reaction, either of uranium or plutonium. This reaction involves an element, such as uranium or plutonium, being struck by a neutron and splitting. The result of the fission of these large atoms are the creation of new, smaller atoms as byproducts, radiation and more neutrons. Those neutrons speed out and strike other uranium/plutonium atoms, creating a chain reaction. The chain reaction is controlled by neutron moderators, which vary depending on the design of the reactor. This can be anything from graphite rods to simple water. Once the heat has been released, a nuclear reactor produces electricity in exactly the same manner as any other thermal-based power plant. The heat converts water into steam, and the steam is used to turn the blades of a turbine, which runs the generator. A nuclear accident that resulted in loss of control over the fission chain reaction would be extremely hazardous. The danger is that the heat produced would outstrip the ability of the reactor coolant to cope, potentially allowing the nuclear reaction to run wild. This could cause system failures which would release radioactivity into the environment. In the case of an extreme failure, the result would be a nuclear meltdown, where the reacting nuclear material burns or melts its way through its containment vessel into the ground and then into the water table. This would throw a huge cloud of radioactive steam and debris into the atmosphere. Accidents of this type have the potential to release radioactivity over an immense area. A small, well-contained accident might just contaminate the power plant, while a major one could result in fallout being spread worldwide. While nuclear power has become progressively safer with the introduction of new reactor designs and technologies, it still carries with it a risk that no other source of power does. Nuclear fuels are derived from uranium and plutonium. Uranium is available in plentiful quantities in the United States, and plutonium is created as a byproduct of the nuclear fission process (indeed, breeder reactor designs maximize plutonium production). Replacing oil burning power plants with nuclear power plant would therefore be helping with achieving energy independence. Indeed, France gets more than 75 percent of its electricity from nuclear power precisely because of a national energy independence policy. According to the U.S. Department of Energy, when all costs are factored in, nuclear power costs an estimated $59.30 per megawatt hour. This is expensive when compared to other means of generating electricity. For example, clean wind power is $55.60/MWH; coal $53.10/MWH; and natural gas $52.50/MWH. Nuclear energy does not involve burning fossil fuels, and therefore does not in any way contribute to greenhouse gas emissions. In this respect, it is as clean as solar, wind, geothermal and hydropower. Spent fuels from a nuclear power plant are radioactive and highly toxic.They also pose security risks, as a terrorist who acquired a substantial amount of nuclear waste could construct a so-called "dirty bomb," with the purpose of spreading radioactive materials over a large area. An accident or attack involving radioactive waste would likely contaminate a strictly local area. Thomas, Edwin. "Pros & Cons of Nuclear Power Plants." Sciencing, https://sciencing.com/pros-cons-nuclear-power-plants-4779089.html. 24 April 2017.